A few years ago, before I had done a mountain marathon, I wondered how on earth anyone could be fit enough. The image I had, which seems to be everyone’s first impression, is of super-humans running flat-out through the mountains for two days, carrying all their kit. While this may be true of some course winners and elite athletes, it is not the case for most of us, and is an image that put me off signing up to one for years. If you share those fears, then maybe this article will make you think again. The whole idea of a two-day event through the mountains for pairs to take part in started in 1968, with the Karrimor International Mountain Marathon (now the OMM). 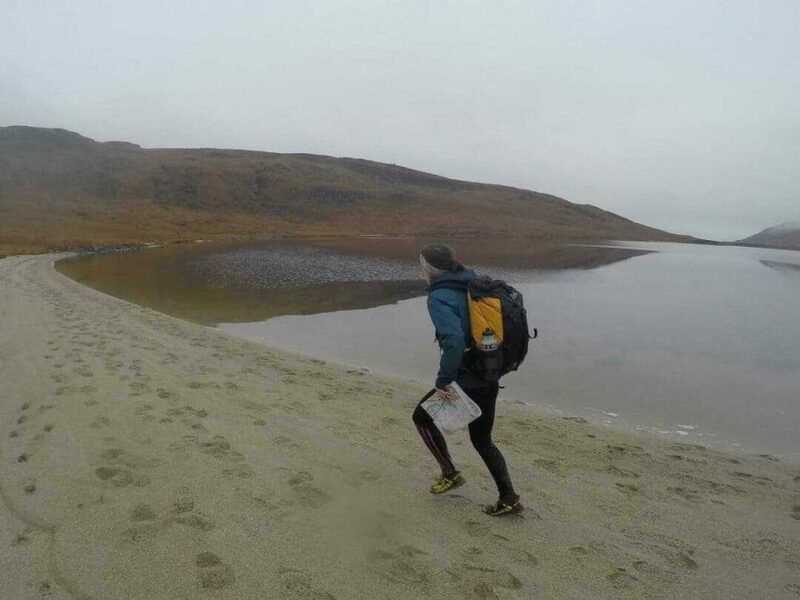 The point was to create something that tested people’s mountain skills, combining navigation, route choice, camping, feeding yourself, looking after your partner, choosing the right kit and being efficient at moving through rough terrain, frequently off-path. Looking at the photos of the first events, you’ll see large bags, boots and canvas tents, hardly the kit you normally associate with running. And even with today’s modern lightweight kit, very few people can afford to run continuously throughout the event, including all those up-hills, without burning out. After all, it’s about moving efficiently for two days; if you try to sprint up the first mountain and then end up crawling the rest you’ll have been better off just walking. In 2013 I went to my first mountain marathon, and soon discovered I had made some ridiculous kit choices, ending up with a heavy 60-litre bag for a very drizzly weekend in the Brecon Beacons. Since then I have tried to get faster and make my kit lighter, but fundamentally the overall skill set doesn’t change. You learn as you go, as with anything involving the outdoors and a variety of skills. Navigation is still key, as it doesn’t matter how fast you’re moving if it’s in the wrong direction. 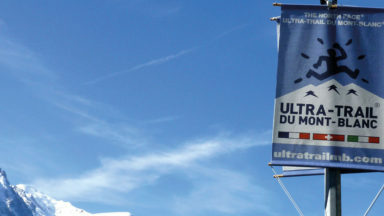 Turn up to an event and you’ll see that it’s a far more social affair than the sometimes too-macho advertising associated with endurance events implies (some mountain marathons know that this puts people off and go for a more sociable look for their promotion). Most people walk the up-hills, teams stop to work out their route, have a snack (some even get out a full picnic) and take photos. It is an event where getting round the course, or even making the sensible decision to pull out, is more important than beating a certain time or getting a certain position. It is unfortunate that the word marathon is in the title, as the first thing it brings to mind is the thought of running 26.2 miles, and then you add in mountains and think: ‘Christ, that sounds awful.’. Happily, only the elite courses go anywhere near this kind of distance. For the most part you’ll see friends, couples, parents and children (sometimes there are family team prizes), over 70s and quite a few people that use the event as two great days out in the hills, being taken somewhere they’ve never been before and camping with a lot of people all out to test their ability in the British mountains. This year at a mountain marathon in the Lake District I got to the mid-way camp to find most of my fellow competitors sitting in the river or sunbathing. It felt more like a festival than a race. At another memorable event, a pair I camped next to had stopped to help someone in need and were so late into camp they ended up on minus points, but they were still laughing and intended on continuing to day two. 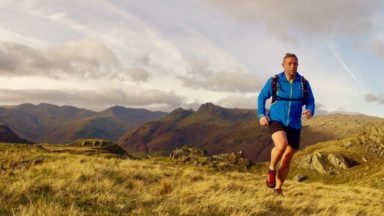 These are the attitudes that help turn what could be a grim slog into a celebration of the mountains, and an affirmation of your own skills in getting yourself round the course while keeping that all important sense of humour and love of the outdoors. 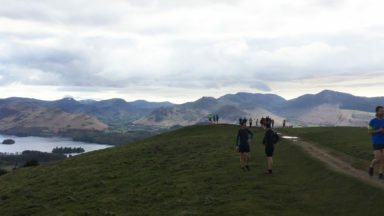 And that’s why, hillwalkers, if you want a weekend out with a difference, enter a mountain marathon. You carry everything except water – all your kit needs to be on your back, including a tent, stove and sleeping bag, although you can share the weight of your tent and stove with your partner. The idea is to think carefully about what you’re packing so that you’re self-supported and can look after yourselves. You’ll need to source your own water when out on the course, but the organiser will provide drinking water at the mid-way camp. They are mostly for pairs – you and your team-mate need to complete the course together, navigating between checkpoints and looking after each other. 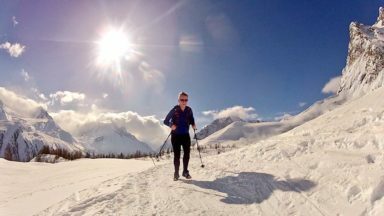 Although there are a few mountain marathons with solo options, it may not be a great idea for your first one. 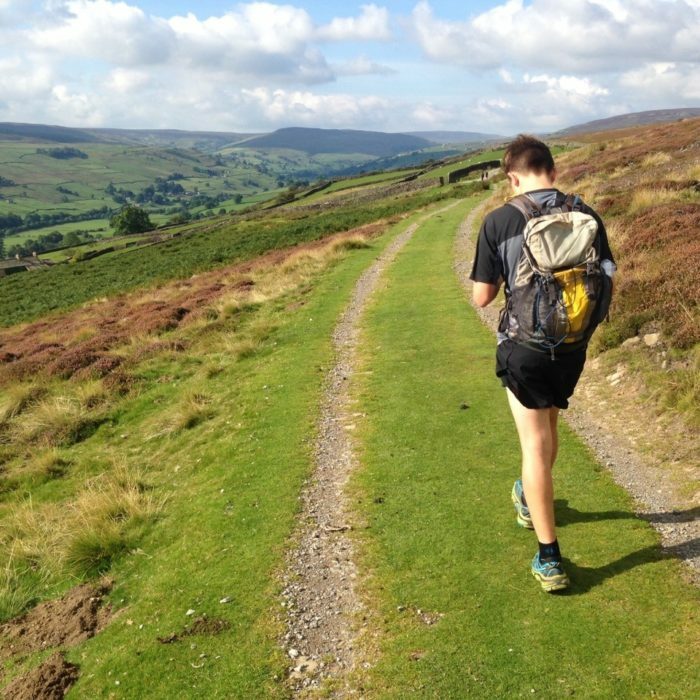 There are different courses – typically a mountain marathon will have different courses to appeal to different people. Linear courses are a set route, where you get a map with the route on at the start of each of the two days, and have to get around the checkpoints in a certain order. There will be linear courses of different lengths, typically called something like Elite, A, B, C etc, with C being the shortest. Alongside the linear courses, there are also ‘score’ courses, where each day you’ll be given a map with a large number of checkpoints on it, and a set time limit in which to get to as many as possible and get to the finish. This is a popular option as it is easy to vary how much distance you cover by how you’re feeling on the day, and also it adds an element of strategy into your event. 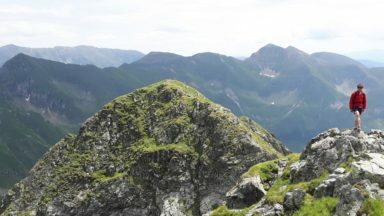 The different mountain marathons – events come and go but there are around five regular annual events to choose from, most of which happen in the summer. The locations will change every year, and each event does this by a different degree. 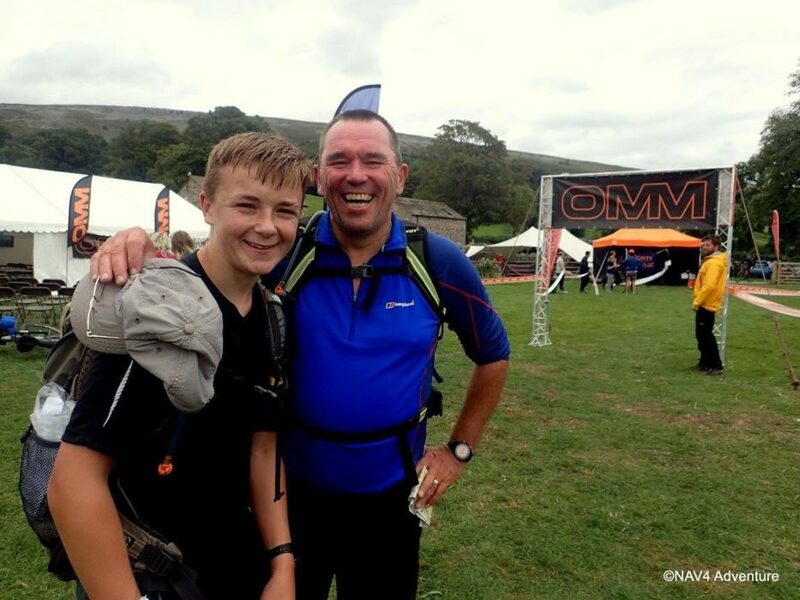 For example, the Mourne Mountain Marathon always takes place somewhere in the Mourne Mountains of Northern Ireland, whereas the OMM can be anywhere in the UK. You’ll normally find out the start location a month or two beforehand. You won’t know the route until you start – the most you’ll get are directions to the event centre, where most people turn up on Friday night ready for Saturday morning. The map with the route on and the location of the mid-way camp will be revealed only when you start in the morning, although sometimes you might get a sneak-peek at an overview map of the area being used. 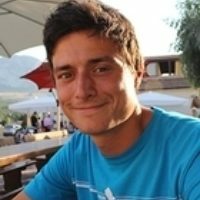 Do your research – there are a huge number of blogs out there written by experienced participants in mountain marathons and other multi-day events to give you some tips. Have a read before you start and learn from the experts. For example, find out why you should take two plastic bags with you. Choose your partnercarefully – the whole event is more fun when your partner is of a similar fitness to you, so you don’t end up dragging round someone a lot slower (and getting cold waiting) or being dragged round yourself. Don’t skimp on food – taking too much and having a bit left over is good planning; taking too little in an effort to save weight is never a good idea, and will just lead to hungry misery. If in doubt, stick in that extra chocolate bar! Start easy – if you haven’t done a mountain marathon before, choose a course at the shorter end of the list (or a score event with a set time). Although you may not think the distances sound long, the rough terrain and time spent navigating need to be taken into account. Split your kit – test the weight of your kit versus your partner’s before you start and swap some kit around to make the bags a similar weight. Or if one of you is lighter or stronger, swap the kit so the stronger person has a heavier bag, which will even it up and make you more likely to go at the same pace. 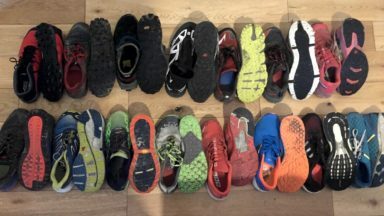 This is not an exhaustive list; a mountain marathon will hopefully return to Scotland in 2019, since the LAMM and the Highlander no longer occur.